We have been providing outstanding services of software product development to many of it treasured clients all over the world. We have an outstanding track record of providing custom software development expertise, and delivering market-leading software products to our clients all over the world. Outsourced Software Product Development (OPD) has caught the imagination and sensibilities of the entire business community. We have been constantly providing outstanding services to the business world with software product development solutions. The company comprises of a strong team of software professionals who are ushering growth with successful software product development by reacting quickly to constantly changing market conditions and landscape. We provide outstanding software product development solutions to clients in the shortest time frame with the best technological solutions. We aim to accelerate the programming and development of your software products reduce considerable time and processing opportunities to result in better managed resources and reduced market and technological risks. Along with us as your product development partners you can realize your products customized to your requirement and ideation. 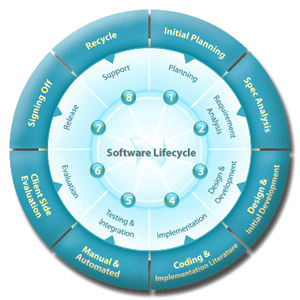 Our software product development process requires a complete procedure of software development life circle. This revolves around the product development life span which includes Product Research with customized Prototyping and Developing. Our team of professionals are forever at their job to ensure that an immense Quality Analysis and Testing is performed to get the Development process effortless and convenient and the delivery of the Software Product is on time and with all the required technical and organisational necessities. Our Team of professional are also at work to realise Performance tuning to further improve the developmental process. Support and maintenance also plays a pivotal role in the Software Product Development. Our technical staffs are at work with the entire necessary requirement to enhance your product development process. It enhancement is does through maximum customization, porting and cross-platform migration with component design and integration procedures. Our experienced team ensures that client receive the state-of-the-art product development services. These services include outsourced software research and development. Our software research is performed by exceptional research professionals who have a very clear, unique and professional outlook to understand your business module and exact usage criteria. This usage criterion is then truly deciphered by our software programming team of professionals who then perform the specifically required offshore software product design and development. This design and development is then fully understood and materialised by the programming team and further quality tested by our QA for a full software product testing circle, these customized software solutions are then documented. Our team also ensure Outsourced software product support along with customized software testing service which incorporates a number of multiple spans of testing. We perform software product development with extreme maturity ensuring that you receive the most enigmatic and out-of-the world software engineering experience process implementation. Every individual across the distributed team of professionals is knowledgeable in a particular methodology that takes hard work. These efforts of continuous excellence are certainly reflected in the quality of the software product that is obtained from Panacia Softwares with the world-class quality and standardisation. Our clients from all over the world are therefore extremely satisfied with the software development product that they receive and highly acknowledge our quality of excellence standards and competent professionalism.